NEWPORT BEACH — Newport Harbor hosted its first visiting 216-foot superyacht without incident — and after a stay of just over one month, the yacht Invictus has moved on. Invictus, owned by Los Angeles developer Rick J. Caruso, had received permission to moor in the harbor, as part of an experiment to investigate the possibility of attracting visiting yachts in excess of 100 feet in length to Newport Beach. 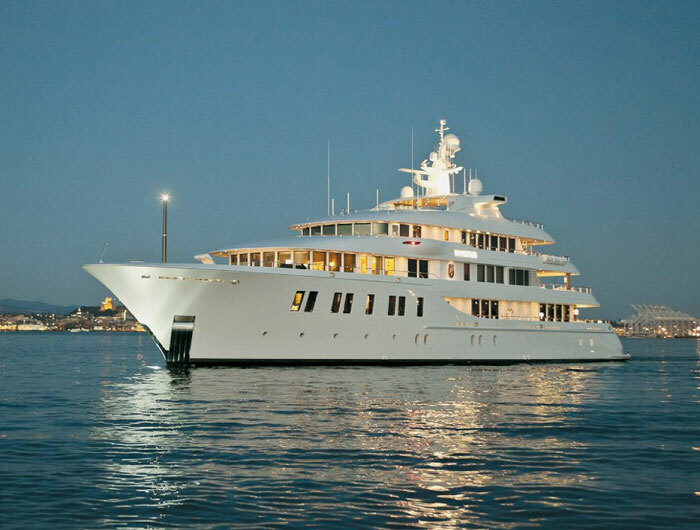 The superyacht was moored in the harbor from Aug. 30 to Oct. 6. While the city was considering allowing a request to allow the superyacht to moor in Newport Harbor temporarily, two Lido Isle waterfront home owners had complained to the city that allowing a visiting boat of Invictus’ size could obstruct their ocean sunset views. However, aside from attracting a lot of attention in the harbor because of its size, the vessel did not generate any complaints to the city during its stay, according to Newport Beach Harbor Resources director Chris Miller. “There were a lot of issues and concerns that were brought up before Invictus came. But after Invictus was here, I didn’t receive any complaints — (however) I received a lot of positive feedback from the community,” Miller said. The superyacht was present in the harbor for two to four days at a time over its five-week stay. The boat abided by a list of rules Miller provided, and the captain kept in contact with the Harbor Resources department on a regular basis, updating and announcing its itinerary frequently, Miller explained. While the trial program welcoming visiting superyachts is not expected to result in an immediate flood of visiting mega-yachts, it shows potential for welcoming larger vessels to the harbor, Miller said, which could result in increased revenue for local businesses. The topic will be discussed further at the next Newport Beach Harbor Commission meeting.